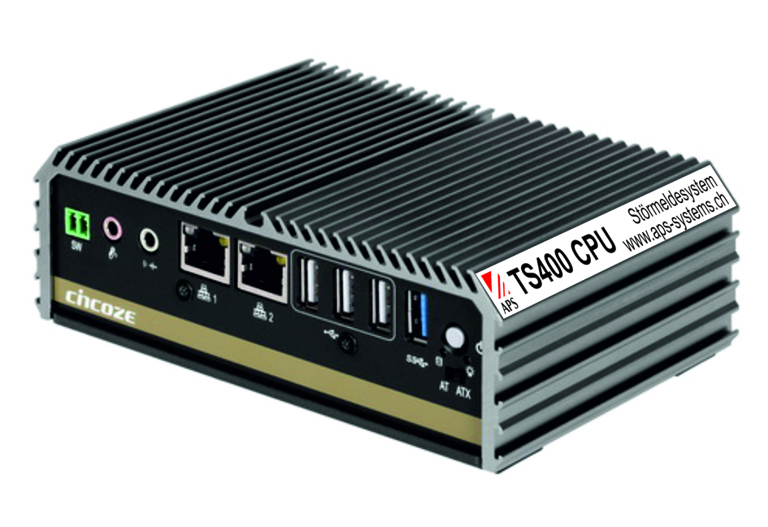 The TS400 CPU Processor is the command centre of the TS400 Fault monitoring and building automation system. It has a clock frequency of 2.4Ghz and 120GB RAM. All events are recorded in log files and can be viewed and evaluated. All log files can be exported as a CSV-file. The CPU can manage up to 128 nodes and 16 Displays. It safely manages the communication between all system components using standard network technology (Ethernet Cat. 5). A connected analogue modem is used to send messages. 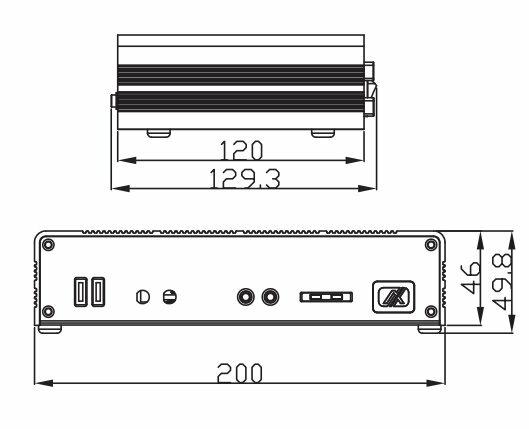 The TS400 CPU Processor has 4 USB connections example given for a log printer, two networks and 3 serial connections example given for the modem. 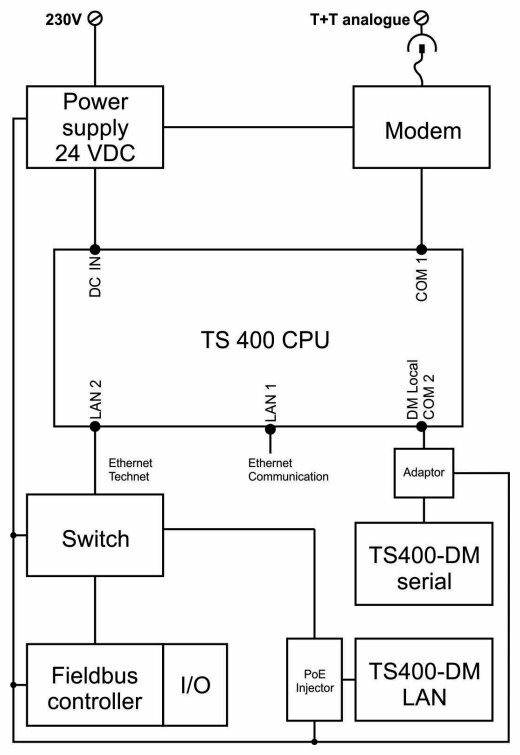 The TS400 CPU Processor has its own external power supply.